A New Year means starting all over again and trying to beat last year's totals (63 minis painted and 26 terrain bits and pieces)... so let's get started! 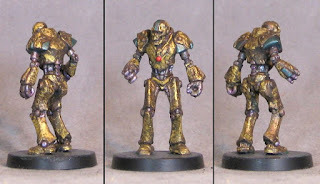 This guy is the Steampunk Tin Woodsman from Reaper-- I removed the axe and painted him up as an old robot for use in all sorts of settings. 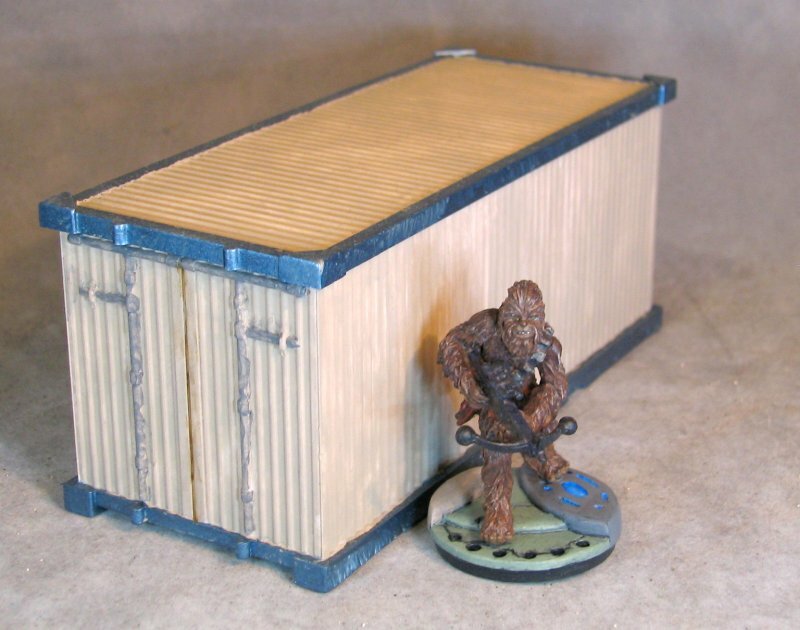 Next up is the actual first mini completed of 2016- Chewbacca from the Imperial Assault game. 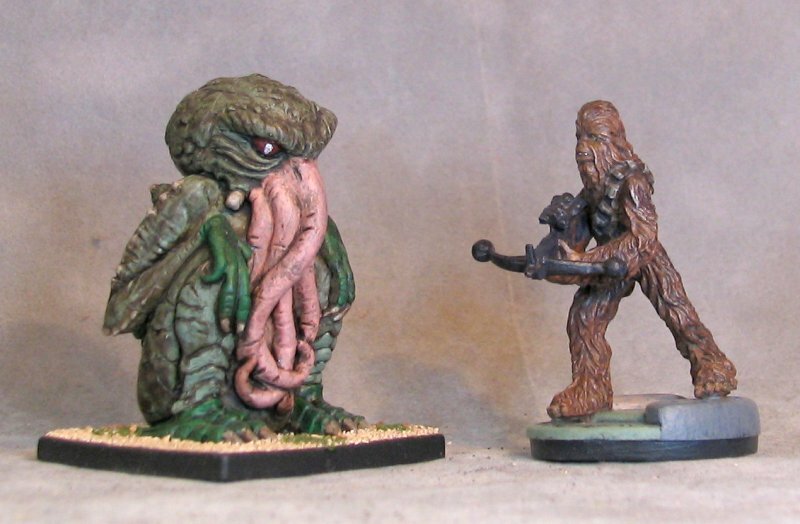 I don't have the game but I've been admiring some of the minis I've seen for it. 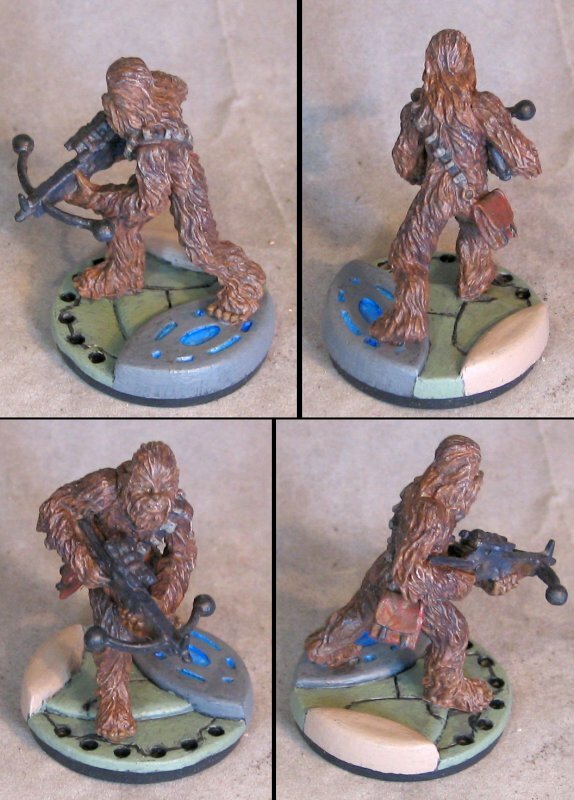 I decided to give Chewie a try after seeing this little-known movie that was recently released. 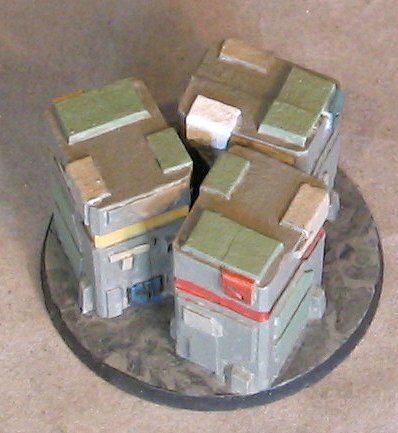 The integral base was not quite big enough,but luckily I've been toying around with the bases I got from the Cool Mini Or Not Kickstarter for the MicroArt Studios base system. 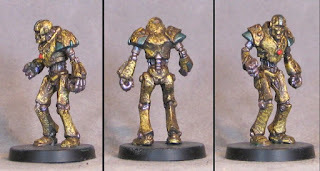 So I carefully chopped off the base and looked for a good fit. The Wraithstone bases seemed a little Star Wars to me (Cloud City, maybe?) 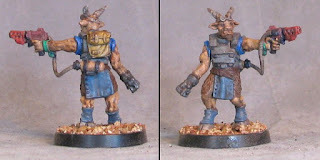 and I pinned him to a 40mm-ish one (they're actually supposed to go into a rounded lip base, but I'm not a big fan of that style of base- I think it looks good like this). Another reason I haven't gotten into the Imperial Assault minis (yet) is because I wasn't sure how they would scale with what I've already got for possible cross-play. 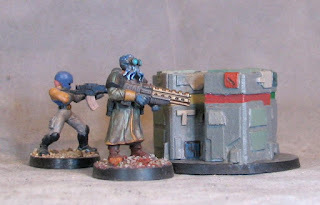 Above is a DeadZone Enforcer from Mantic, Chewie, A Trooper from teh Sedition Wars box, and an old Void Viridian Marine. 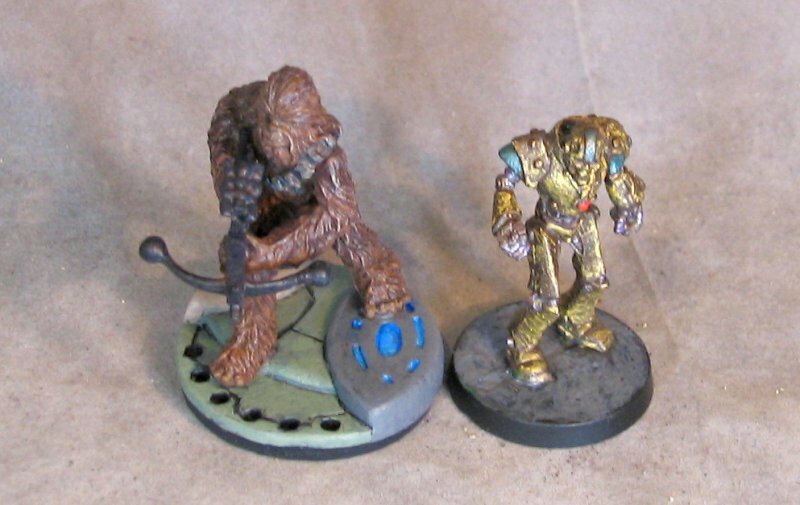 Below we have HassleFree's Alice, Chewie, Hasslefree space girl in powered armor, and a Cthood Trooper from the Wargames Factory Sci-Fi Troopers plastic kit. 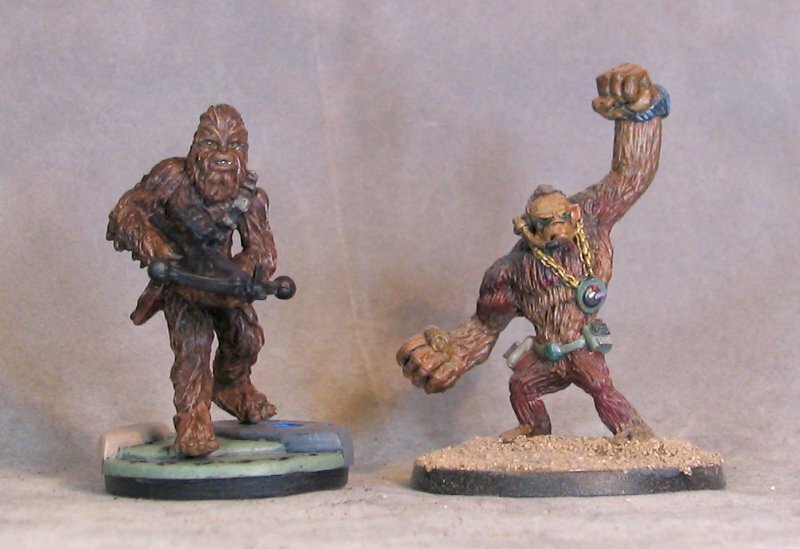 Above: Chewie and a Sebeki from Crocodile Games. Below: Chewie and an old SuperFigs miniature Dr. Simian (his paintjob was inspired by Chewbacca). 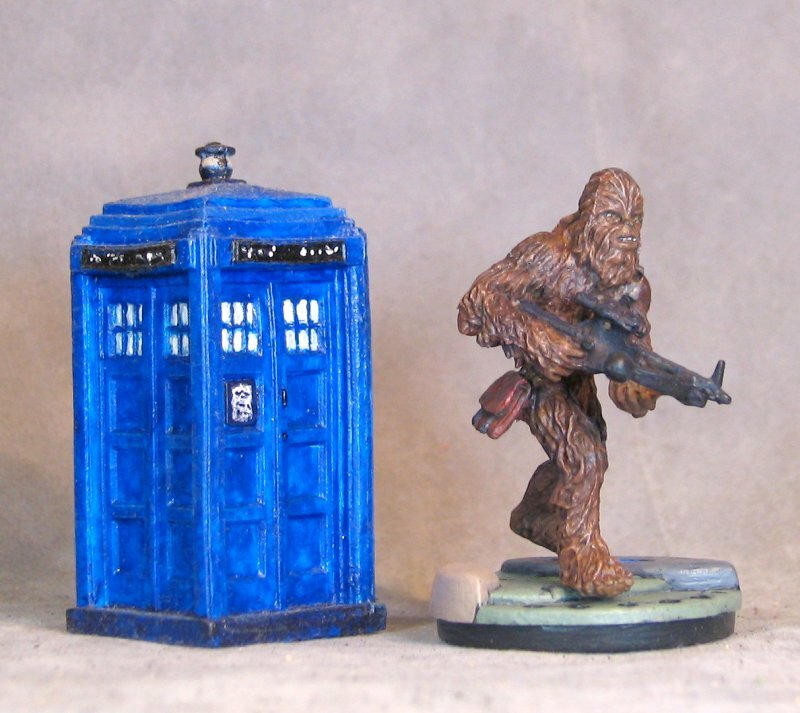 Above: the TARDIS and Chewie. Below: Reaper's cargo container and Chewie. A little issue with my card reader left these pics waiting for a transfer process form the camera to the internet (my camera's really quite olde now that I think about it, but it's really very good still). 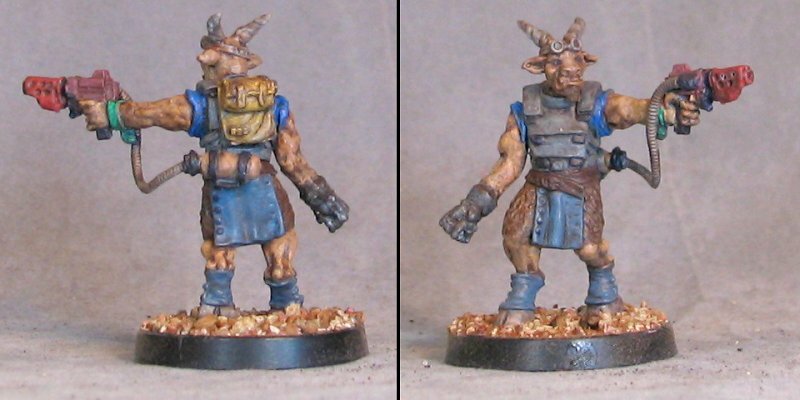 But now I've got the last few minis that were completed before the turn of the year. 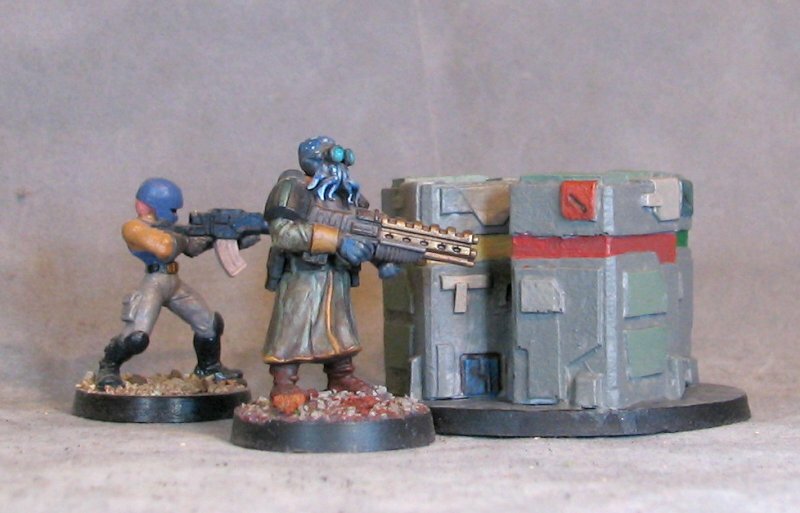 Some sci-fi containers to help clutter up the table. They're resin and I think I got them from Iron Wind Metals at GenCon. From Heresy, one of the Security Guards painted up as an old spacer with a cool jacket. 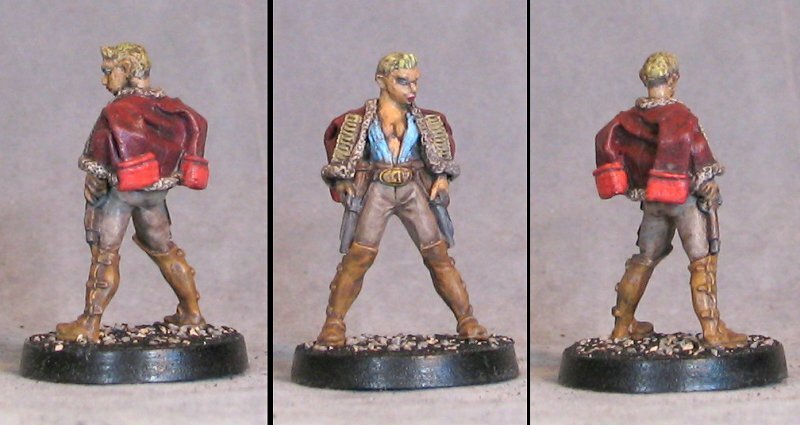 From the old Chick Challenge that used to be a thing, this is the Hussar Chick sculpted for CCIV back in-- it was a really long time ago. 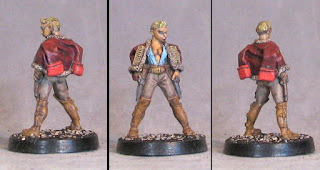 She's been partially painted for years but I couldn't bring myself to finish her up until now. 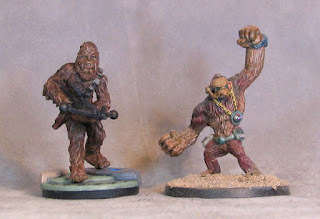 I finally got 2 of the not-Imperial Guard Beastment from Victoria Miniatures painted. 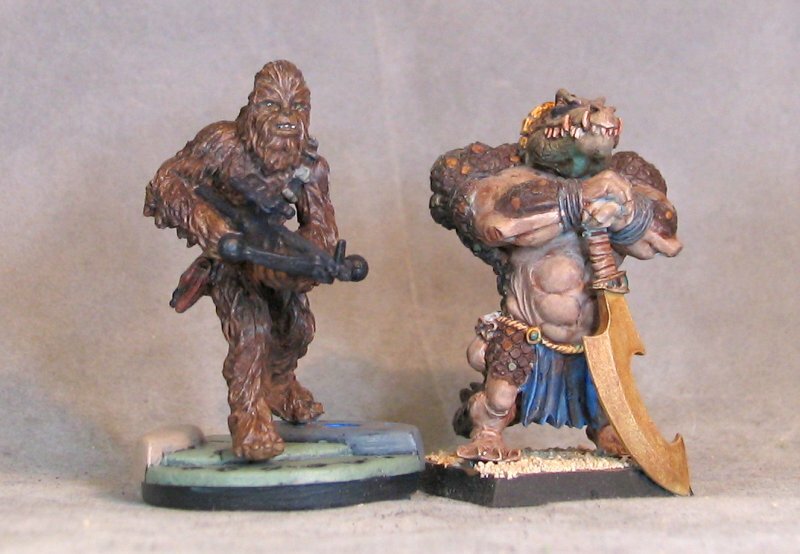 I really like them both and now want to get the others put together and painted. 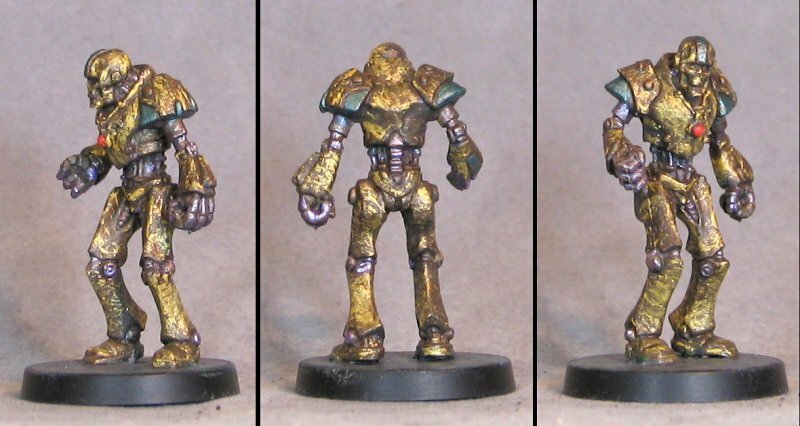 On to the 2016 minis!